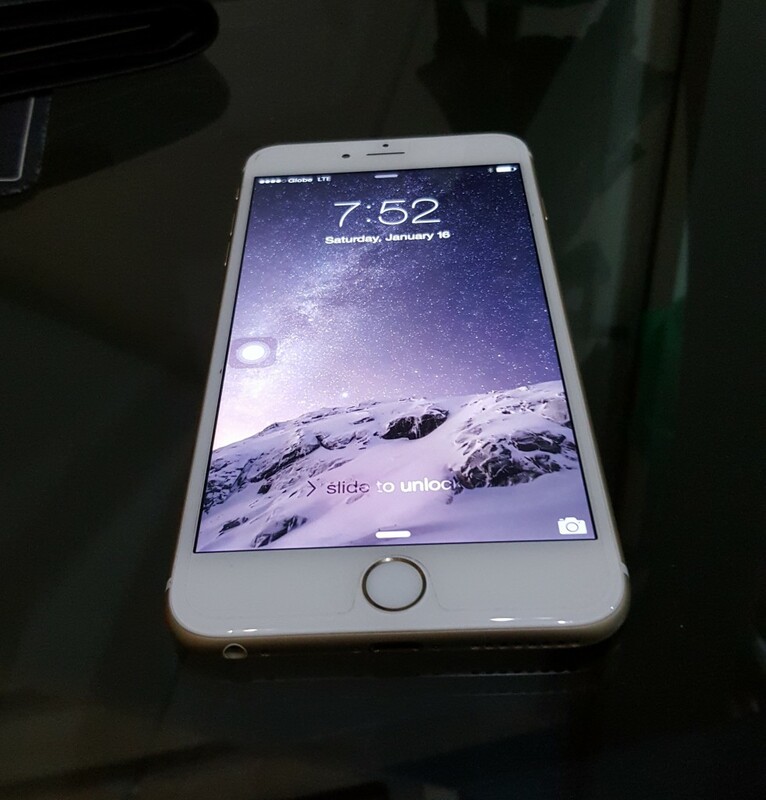 Do you know why the iPhone 6 Plus is the best iPhone for seniors? In this post, let’s explore together this phone’s features and benefits to our parents and grandparents who are already in their senior years. Our parents and grandparents have more specific needs as they become older. Being in touch with them has become more important than ever. This is the reason why you need to find the best smartphone that will suit their needs. My mother is already in her senior years and I was once in your position where I have to think of what smartphone is best for her. It took me a lot of thinking before I decided to buy her an iPhone 6 Plus. But before you decide what’s the best iPhone for your parent or grandparent, you should know first about how they normally use smartphones nowadays. Based on my research, in general, the following are the recent uses of smartphones to seniors in the order of priority. I know that you are also aware that older iPhone models already offers the same excellent Apple iOS user interface that even a child could learn in a very little time. They also have GPS technology that will allow another person to find the smartphone owner’s location. They also come with the same hearing aid compatibility features, awesome music quality, and 8-megapixel camera resolution (iPhone 5 and 5s) like the iPhone 6 Plus. So we are not going to discuss those features that are common to almost all iPhones. Why is the iPhone 6 Plus the best for seniors? Let’s take a look at the top features why the iPhone 6 Plus is the best for seniors as compared to the older iPhone models and the latest iPhone 6s Plus. What is cool about the iPhone 6 Plus is that it boasts a huge 5.5 inches display as compared to the 4.7 inches display of iPhone 6 and the smaller displays of iPhone models before that. 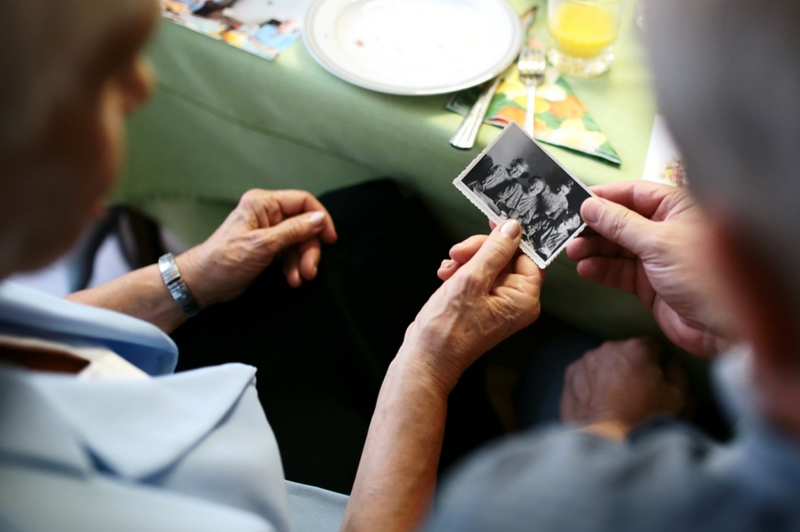 A senior’s eyesight is normally not as good as when they are much younger. And even if we accept it or not, their eyesight may degrade more in the coming years because that is a normal part of life. Seniors call and send text messages and facebook chat messages to their loved ones more frequently than younger people. And they also need a way to easily contact anyone in case of emergencies. This is the main reason why they need the iPhone 6 Plus instead of the other iPhones. The larger screen display will allow them to easily read and send text messages and make speed dials with ease in case anything happens. Reading and watching in a larger display will put less strain in their eyes. They can also get a better view of the pictures of their grandchildren in Facebook photos or have a convenient video chat session in a larger screen. Here is a funny observation, when they use smartphones to type something, normally they hold the phone with one hand and then type using the index finger of the other hand. Do your parents act the same way? If they do that in a smaller screen, it will take ages before they were able to send one text message! Another cool thing about the iPhone 6 plus’ large screen is that they can conveniently play games. Since they are mostly on their own and at home, they have more vacant time and they look for things to do. Playing games in their smartphones has become one of their ways to past boredom. But never mind, their happiness is more important. Playing in a larger screen will definitely give them a more exciting experience and will increase their enjoyment while playing. A smartphone with a longer battery life is crucial for seniors especially in times of emergencies. Most of the time, they tend to forget to charge their phones. You don’t want emergencies to come and your parents were not able to contact you or 911 because their phone’s battery is empty. What is really cool about the iPhone 6 Plus is its longer battery life compared to iPhone 6, and previous iPhone models. I was an iPhone 6 Plus user for about 8 months before I switched to Samsung Galaxy S6 Edge Plus. Before that, I have an iPhone 5s, iPhone 4s and iPhone 4, the battery life is terrible especially as the phone gets old. After I got my iPhone 6 Plus, I was not very hopeful on the battery life because of my previous experiences, so I was very surprised. And for my 8 months of used, the battery life never degraded. It takes one and a half days cycle before I charge my iPhone 6 Plus’ battery again. In my current Samsung phone, it only takes 10 hours before the battery goes empty. I am telling you right now, it was one of the things I miss about having an iPhone 6 Plus. Now we all know that Apple released the iPhone 6s Plus last year and it has the same screen size as the iPhone 6 Plus. And maybe you will say that you want to give them the best so you might consider the iPhone 6s Plus instead. But before you do that, let’s check first if the increase in price is worth it for our seniors. 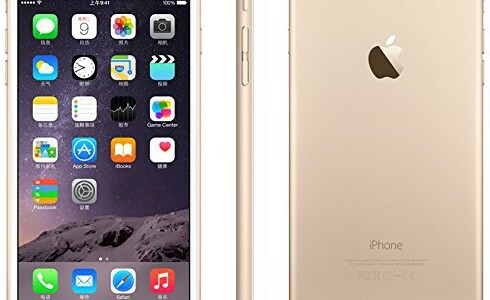 An iPhone 6s Plus (16 GB) is priced at $100 more than the iPhone 6 Plus (16 GB). That’s a huge $100 difference! This difference also applies to the 64 GB variant. So what caused the $100 difference? 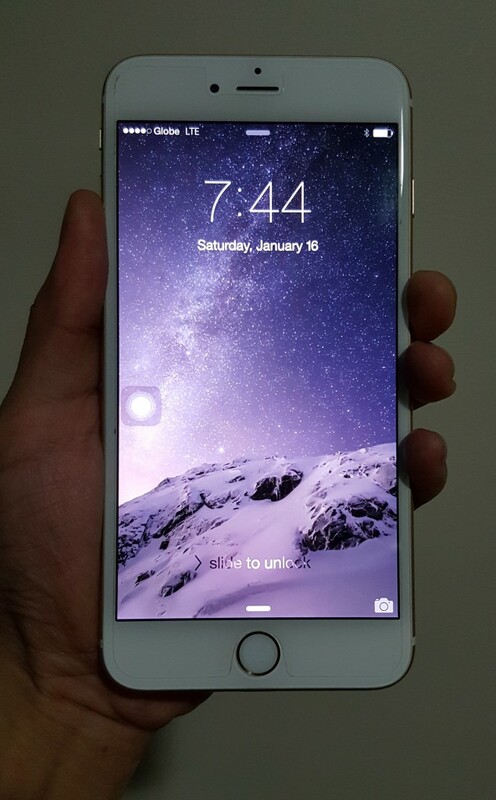 It’s mainly because of the extra speed and increase in camera resolution in iPhone 6s Plus. Are the improvements worth the price difference and do they need those in their smartphones? The iPhone 6s Plus has a higher processor speed of 1840 MHz and the iPhone 6 Plus is only at 1400 MHz. They are both using a dual-core processor type. That is a very small difference if you are very familiar with how phone manufacturers today increase their processor speed when they release a new version. Normally they double the speed. The memory of 1024 MB RAM in iPhone 6 Plus is now 2048 MB in the iPhone 6s Plus. Do they need the extra small bump in the processor speed and twice the memory size? Unless they are playing heavy games and multitasking, seriously, they don’t need it. They normally play Candy Crush or Word Puzzles so iPhone 6 Plus’s processor and memory are more than enough. 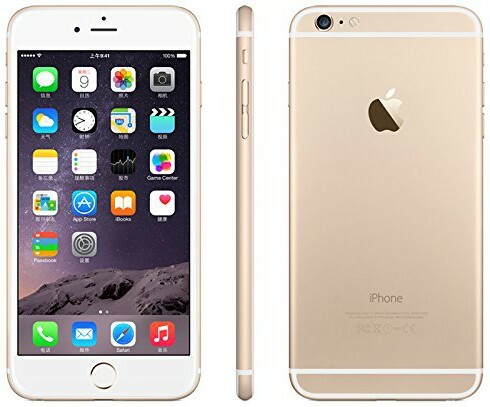 The iPhone 6s Plus has a 12-megapixel camera and 5-megapixel front camera and iPhone 6 Plus has an 8-megapixel camera and 1.2-megapixel camera. Do they need some super high definition photos when taking pictures? Definitely not. Eight megapixels is more than enough to get super clear shots of their precious moments. In terms of weight, the iPhone 6 plus is only at 6.07 oz (172 g) while the iPhone 6s Plus is at 6.77 oz (192 g). Which means that the iPhone 6 Plus is 10% lighter. In terms of battery capacity, the iPhone 6 Plus has 2915 mAH while the iPhone 6s plus has 2750 mAH. So the iPhone 6 Plus battery life may last longer. They both have the same display size and resolution of 5.5 inches and 1080 x1920, respectively. So you don’t have to spend an additional $100 for functionalities they don’t need. On top of this, other online retail stores like Amazon.com makes a lot of lower offers. That will give you additional savings. The iPhone 6 Plus is definitely the best iPhone for seniors from screen size to battery life. The features are perfect for their specific needs and they will surely love it! The reason seniors use their index finger to type is that limited flexibility in the thumb joint makes thumb typing impossible.